One of the most difficult words for people to pronounce in the English language is the word, “caricature“. Even more people tend to misspell Caricature. They add letters that don’t belong, especially “h”. This is because so many people associate the word, “caricature” with the word, “character”, says Caricature Artist company owner Robert Bauer. They want to combine the two words together, for both spelling as well as in meaning. However, the two words have little in common. It’s like fingers on a chalkboard to a caricature artist when you spell or say the word like characature. The word caricature is from the Italian word caricature which means a loaded portrait. The term, caricature refers to a portrait or a depiction of real people. It’s not fictional characters. A caricature exaggerates prominent features of a subject or the subjects essences while keeping enough information so the subject is still recognizable. A well-done caricature looks more like you than you! That’s because it emphasizes the features which distinguish how you look. It’s common for caricatures to be drawn by giving the subject a small body with a large head. The appearance is often humorous, although, that was never the original intent. 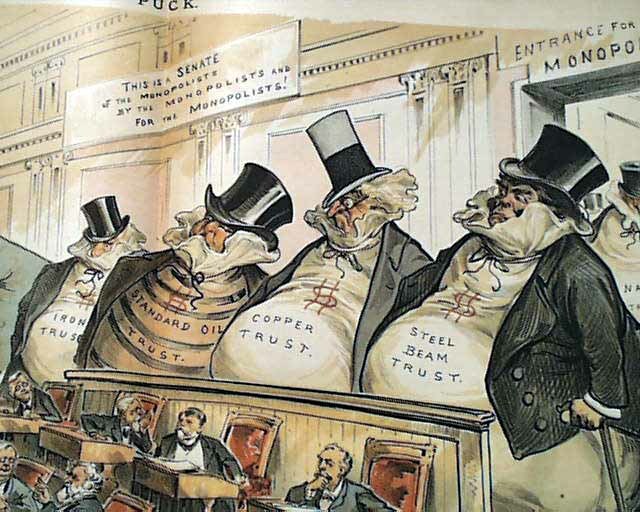 In the past, when editorial cartoonists started to feature caricatures of celebrities and political figures before the turn of the century, they had limited space to tell their story. Therefore, they would emphasize the person’s face so everyone would recognize them. Next, they would add a body performing some action which would illustrate what they were up to. The bodies were not as important as recognizing the face, so artists would reduce them. Print newspapers, magazines and flyers would use representations of the powerful, evil, rich and famous around the world as part of their editorial pages. This practice has remained in play to this day whether in editorial cartoons or caricatures drawn for entertainment. The caricature is one of the most common and universally recognized forms of art. Many professional artists have experimented in caricature at one time. However, less than 1000 artists in the world consider it their full-time profession. A caricature artist is also referred to as a caricaturist. Each artist uses their experience and training to develop their own style. Caricature artists are not the same as a cartoon artist or cartoonist who usually creates images of non-living subjects such as Mickey Mouse or Bugs Bunny. A caricature is an image showing the subject in an exaggerated way. It is also common for the artist to simplify portions of the subject as well to help the viewer focus on the story of the caricature or the features the artist wants you to see. This does not mean the simple or small portions of the caricature don’t have meaning. Often clues or important supporting information can be found in the background of a caricature. Sometimes the exaggeration is in the small depiction. Although there are similarities between a caricature artist and a cartoon artist, they are not the same. Some aspects of the art forms are interchangeable however there are distinct differences between the two. A cartoon is a simplified and whimsical illustration of a person, animal or scenery. A caricature is specifically an illustration of a real person drawn in an exaggerated style to play up their unique features. Some may suggest that an artist can create a caricature of a car or animal. This is true for a cartoon, but for it to be true for a caricature there needs to be a real-life point of reference for the caricature artist to work. Not all caricatures are drawn in cartoon style. Some are extremely detailed, even life-like. Artist use different mediums to create a caricature such as a pencil, marker or paint. The word caricature certainly has morphed into new meaning within the English language. People use it to mean a likeness or exaggerate version of a person. Sometimes the word is used to mean over the top or a grotesque exaggeration. When you hire a caricature artist. It is easy to hire a caricature artist. There are a few good companies that represent artist from around the country. Generally, you hire an artist by the hour. The number of people at your event will determine how many hours you need to hire an artist. It’s common to hire more than one artist for large events. Although most attendees will take a moment to watch the artist create drawings, expect about 65 percent of your guests to sit for a caricature. A Caricature is among the most popular of art forms. It is common for comic the representations of the rich and famous, the wicked, and the powerful often appear regularly in newspapers, magazines and websites around the world. While the caricatures may contain different goals and agendas, the most striking features of caricature is the distortion of subjects large head and small body. Whether the target is a Dictator, a successful lawyer, or the Queen of Spain, the caricaturist’s intention is to reveal a personality or characteristic through the comic exaggeration of their most visible feature, habit, or trait. The modern art of caricature—that is, the art of drawing funny faces that are often distorted portraits of actual people—traces its roots back to Leonardo da Vinci, although we don’t know whether Leonardo’s “caricatures” of handsome and ugly heads were intended to be funny or were made as quasi-scientific investigations of the deforming effects of age, and of the forces that generate these deformations. With their gross distortion and exaggerated postures the portraits of people created by caricaturists seem far from the real the human body. However, this appearance is deceptive. The study of caricature can reveal a lot about changing attitudes to body shape, diet, and sexual activity. In the seventeenth and eighteenth centuries, caricaturists were much influenced by the work of G. B. Della Porter (De Humana Physiognomia, 1586); Charles Le Brun (Expression des Passions, 1698); and Johann Kaspar Lavater (Physiognomische Fragmente, 1775). Caricature in the modern sense seems to have been created by Gian Lorenzo Bernini. He was the first to create satirical drawings of recognizable people. Interestingly, he seems to have somehow turned this art into a backhanded form of flattery, similar to the celebrity roasts. Being important enough to satirize was proof of one’s importance. In the 18th and 19th centuries, the art form developed as a mix of the crude and obvious, and the obscure and arcane. At one level, it reduces the language of visual expression to its most uncultured elements, and certain devices seem to be repeated such as: processions of odd-looking people, exaggerated faces, people with animal like faces, and bathroom humor. At the same time, drawings often contain sophisticated puns and in-jokes, rooted in wordplay. Possibly the most famous examples of this are the series of lithographs by Honore Daumier from the early 1830s representing King Louis-Philippe in the form of a pear. The monarch’s face, with its large jowls, was pear-shaped, and so was his rotund body. In French slang the word for pear, le poire, was also a colloquial term for “simpleton.” Also the king’s initials, L. P., could be read Le Poire. The basic visual trope communicates its message clearly, even if we don’t grasp the wordplay. We can gather that the king was being ridiculed for being sluggish and obese. In many cases, particularly with political satire, this sort of punning became almost deliberately arcane, rather in the fashion of the iconography of medieval saints. Anthropomorphic caricature was hugely popular from the middle of the nineteenth century. These caricatures provide a record, of changing attitudes to the human body, its form, and its functions. The practice of caricature also has connotations of moral judgment, as well as bodily excess or mere physical form. More recently, the twin crises of the early twentieth century — the Great Depression and the rise of Fascism on the continent — have provided caricaturists with fertile if also painful subjects for their comedy. In Germany, George Grosz (1893–1959) used his art to expose the moral bankruptcy of the German state during the Weimar and Nazi periods. Almost entirely self-taught, Grosz drew spare caricatures representing opulent Germans as wholly debauched, their bodies glutted on sexual excess and political corruption. Fortunately, the twentieth century also saw more pleasurable and prosperous times. In reflecting upon the opulence of the twenties or the wealth of the 1980s, American journals such as The New Yorker, and the British comic magazine Punch, image an affluent society which they wish to chasten yet also to celebrate. The harsh images of Gilray and Grosz are not present, perhaps, but a canny social commentary remains. Kenneth Rivers defined caricature as ‘the artistic use of deformation for satirical purposes’. Although the intention behind any given caricature can be defined broadly as ridicule or satire, the precise motivation behind a particular piece can be varied. While the work of some caricaturists aims no higher than the exhibition of crude national or sexual stereotypes, many caricatures reveal more subtle ploys, and greater artistic and political aspirations. Indeed, the history of caricature has often been entwined with the history of censorship. The status of the caricaturist’s art might fairly be defined as a negotiation between a crude impulse to ridicule and a higher wish for change or reformation. It’s precisely that delicate line between what’s funny and what’s not acceptable that makes caricature so powerful. Caricature has often been a mighty tool for fighting stupidity and injustice. But it also has been used in the service of bigotry. A comprehensive history of caricature would more deeply explore some of the ways that this art form has a wicked aspect and connects with the dark corners of the human soul.